Trump and the Unknowable Moment His speech was neither eloquent nor lofty, but it was powerful. Two headlines on the week, and some speeches. 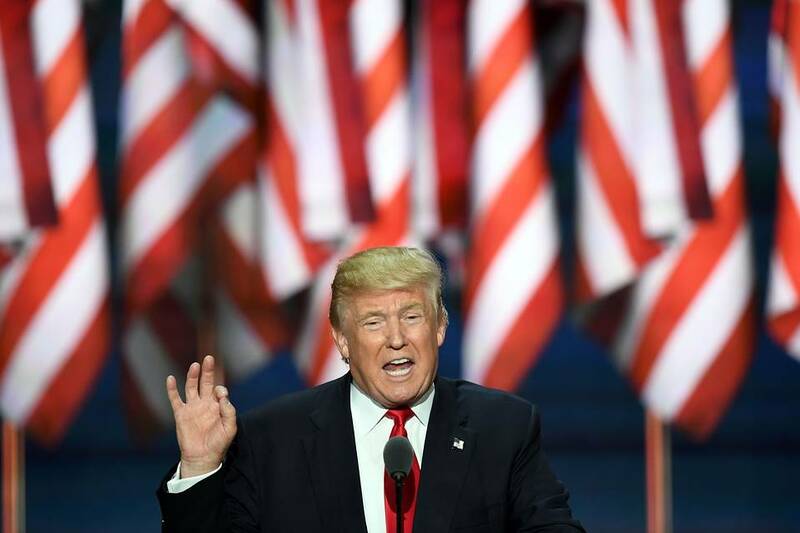 Donald Trump effectively won the Republican primary in the first week of May, meaning the GOP has had 2½ months to do what it has always done, even under duress, such as in 1964 and 1976: come together. They have not. From day one of the convention it was clear the GOP is a bitterly divided party and not even bothering to hide it. It failed to unite not because it had poor leadership or the nominee didn’t know how to do it, though both are true. More killingly it failed to unite because it didn’t want to. Everyone’s in his corner. Donald Trump failed to change his style in a way that would have given cover to those who would have, with considerable relief, joined him. On the other hand, anti-Trump forces continued to look down on Mr. Trump’s supporters and grant them nothing in terms of motivation, sincerity, insight. Most important, though no one in Cleveland was keen to talk about it, there is the split between the base and the top on such huge and fundamental issues as immigration, trade and entitlements. The base came to this convention, which was middle-class and dressed down. The wealthy and connected largely stayed away. You didn’t see them swanning from reception to party to caucus. It spoke volumes. Now and then you remember that snobbery is an actual force in life. If each side hates the other and believes in different things, how do they come together again? Connected to that, the second headline, which has to do with the unknowability of the moment we’re in. The shrewdest old political pro, the brightest young delegate, the owlish political journalist—they didn’t know exactly what they were witnessing. Was it the formal start of an epic political disaster? The birth of a new GOP more identified with the struggles of its base? Is 2016 a particular and contained event, or does it mark the beginning of some long-term realignment? As for Mr. Trump, is he a lightning storm that lit things up, caused some damage, will play itself out and pass? Or is he an earthquake that changed the actual shape of things, the literal lay of the land? Nobody involved here, nobody watching, knew. I’ve never quite seen such intellectual modesty among people who are usually quick in their eagerness to explain it all to you. There were a number of good speeches. Donald Trump Jr. was strong and persuasive on Tuesday night. The next morning, at a Wall Street Journal event, he made a better case for his father than his father has. He talked about the forgotten middle American and referred to himself, humorously, as “a Fifth Avenue redneck.” When pressed on how a man as divisive as his father could unify the nation, he answered that one way to unify the country is to see that its people have jobs: “When people are doing well it’s amazing how much unity you’ll get from that.” I had the distinct impression I was listening to a future political candidate. Mike Pence’s speech was modest, simple and strong. He is going to be a powerful and effective figure in the coming campaign. A longtime staffer told me he was surprised how relaxed the governor was as he prepared. He’d seen him over the years be nervous about smaller, less important speeches. Mr. Pence, the staffer said, told him the reason was that he was completely at peace with his decision to run with Mr. Trump. Ted Cruz did himself damage. By the end of his tireless campaign for the nomination he was semi-endearing. Wednesday night he resurrected Snaky Ted. He spoke highly of freedom and went after President Obama. Sometimes he half-laughed after speaking a line, as if to say You know this is showbiz, right? It showed an unbecoming detachment. He told the audience not to stay home in November but vote for the right person, then forgot to say who that person might be. If you can’t endorse, good for you and stay home. That isn’t politics, it’s basic human comportment. If someone you’re certain is awful invites you to a party, you politely decline. You don’t go, walk into the room, and punch your host in the head. Mr. Cruz miscalculated, thinking if he snubbed Trump half the delegates would cheer. Instead almost all booed. He thought the media would laud his courage and integrity. They saw him as wounded and treated him as prey. When his campaign ended in June, I attended a small dinner in his honor. Mr. Cruz was charming, modest and funny. When we said goodnight I told him I felt, in retrospect, that I hadn’t always been just to him and was glad I’d have a chance to be more generous in the future. Apparently I will need still more time. What a jerk. Donald Trump’s speech was important. He is a vivid figure and for a year has elicited strong reactions. By now he’s exhausting. We have Trump Fatigue. Also, who doesn’t know how he feels about him? His acceptance speech was an opportunity to break through in a new way and flesh out his purpose. I think he succeeded, though with a certain grimness. He’d probably reply that the times are grim. We have to assess the true facts of our nation, he said: “We cannot afford to be so politically correct anymore.” He spoke of “the plain facts that have been edited out of your nightly news,” including the costs of illegal immigration and the victims of economic decline. Does he want a ban on Muslims? No. “We must immediately suspend immigration from any nation that has been compromised by terrorism until such time as proven vetting mechanisms have been put in place.” This stand has always driven his enemies crazy, and Mr. Trump usually spoke of it sloppily, either deliberately or not. But to most Americans it will sound like simple common sense. It was not an eloquent speech, not lofty, very plain and blunt. It covered a lot of territory and went too long. It had no leavening humor. It is strange to see a New Yorker so uninterested in wit. It was at points too hyped and declarative, and it was sometimes grandiose. But it was powerful. After reading a copy of the speech leaked in advance, an anti-Trump conservative intellectual emailed me. “He’s going to win,” he said. The moment at least was not unknowable to him.